The season of monsoons is one that most of us eagerly look forward to. The smell of wet earth, a steaming cup of tea and the sound of rain falling – it’s easy to love the monsoons. However, most women know that monsoons are not always this romantic, especially when it comes to our hair. 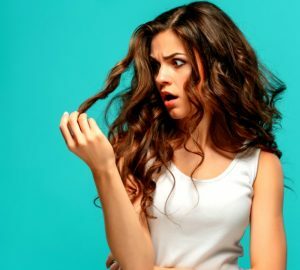 The humidity tends to make our hair frizzy, and we don’t even have to talk about the increase in hair fall! In such a scenario, altering your hair care routine slightly to make sure that your tresses don’t suffer in the downpour is a good idea. The most common complaint during the monsoons is increased hair fall. This happens because of the excessive humidity and acid rain which is very common, especially in urban areas. The humidity makes the hair strands porous, which in turn means your hair is more likely to break. Moreover, the moisture in the air leads to inflammation of the hair follicles, which leads to breakage of the hair from the roots. Another extremely common complaint during the rainy season is frizzy hair. This is also directly linked to excessive humidity. The increase of moisture in the air leads to airborne hydrogen forming bonds with the hair’s keratin, which subsequently leads to frizzy hair. As far as possible, try to avoid getting your hair wet. We understand the temptation of dancing in rain, but the harmful chemicals of acid rain can spell disaster for your hair. So don’t step out in the rain without an umbrella – your hair will thank you for it! During the monsoons, ditch your chemical-heavy, deep-cleansing shampoo for a mild and gentle one. All-natural shampoos nourish your hair and wash off any residual rainwater that can make your scalp itchy. A gentle shampoo without any sulphates, silicones, salt or parabens in it will also clean your hair without stripping it of its natural protective oils. 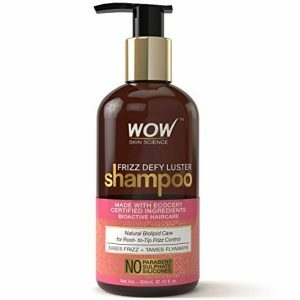 WOW Skin Science Frizz Defy Luster Shampoo – this gently nourishing shampoo has been specially formulated to tame frizzy hair, making it perfect for the humid rainy season. With natural biolipids and nourishing ingredients like Argan oil, this shampoo is the perfect way to smooth and silky hair that has not been weighed down by too many chemicals. Moreover, it is made without any harmful parabens, sulphates and silicones. During the monsoons, it is best to shampoo your hair no more than two times a week for best results. This is because of the simple reason that during a regular hair wash, you tend to lose 50 to 60 hair strands. However, in the rainy season, the number can go up to 200 strands! 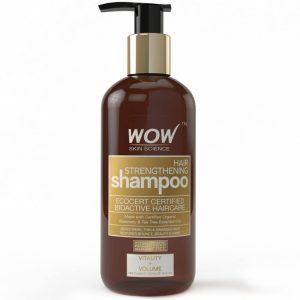 To combat this hair fall, we recommend using a strengthening shampoo like WOW Skin Science Hair Strengthening Shampoo, which is specially formulated without any harmful chemicals and works to strengthen your hair. We understand the desire for silky smooth hair, so we recommend adding an extra layer of protection to deal with the unwanted frizz and flyaway hair. A gentle hair serum (or hair vitalizer) or hair mist can work wonders to tame your hair and add a bit of shine to dry and dull locks. 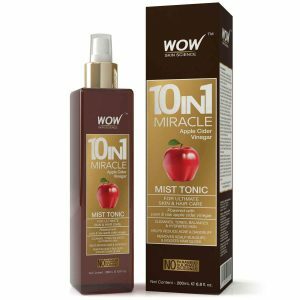 We recommend WOW Skin Science 10 In 1 Miracle Apple Cider Vinegar Mist Tonic. This mist can be used after you shampoo your hair, and it adds a beautiful sheen to your locks. This all-natural mist is the best way to keep your hair looking Instagram-worthy even during the rainy season. 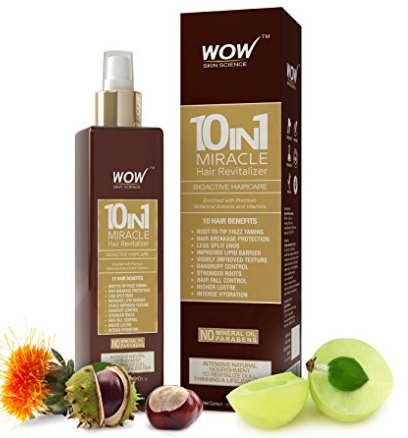 We also recommend WOW 10 in 1 Miracle Hair Revitalizer that is a revolutionary product with 10 benefits in 1 single bottle. 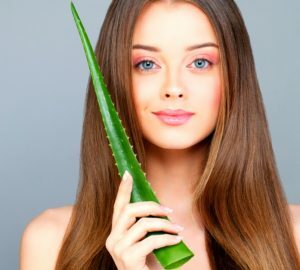 Enriched with Extracts of Safflower, Amla, Horse Chestnut, Rosemary, Tea Tree & Lemon, plus Vitamins A, B5, B7, E & F, it delivers rich benefits like stronger roots, less split ends, improved lipid barrier of hair strands, visibly improved texture, dandruff elimination, hair breakage protection, hair fall control, higher luster plus intense hydration for total revival of hair. Perfect for monsoon hair care! Finally, the best way to tame frizzy hair is to keep it hydrated, so don’t forgo your champi during the monsoons! 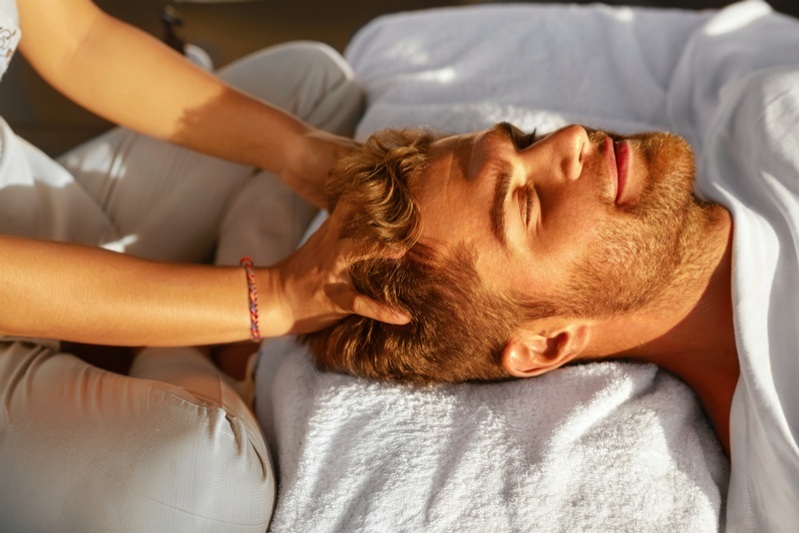 A good oil massage boosts blood circulation in the scalp, keeps your locks hydrated and provides deep conditioning. 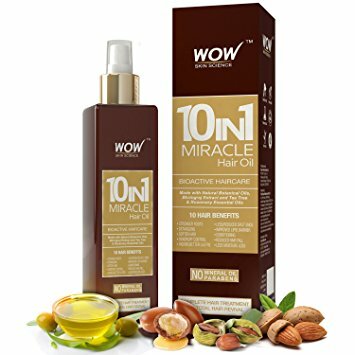 WOW Skin Science 10 In 1 Miracle Hair Oil is a premium hair oil powered with 10 natural bioactive agents. It infuses a new life into dull and lifeless hair while reducing hair fall, making your roots stronger and your hair softer. 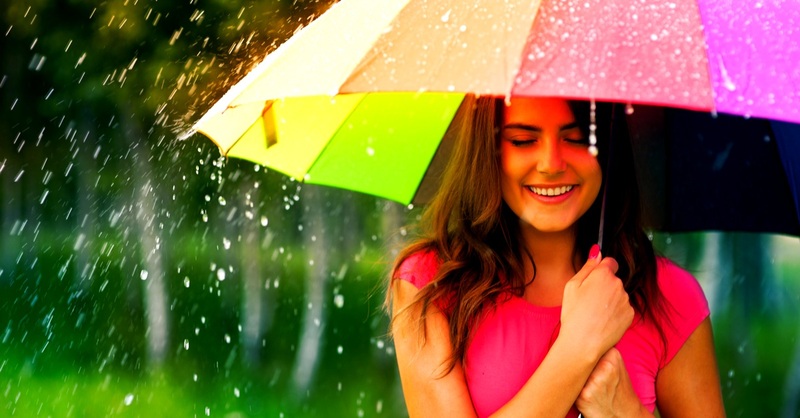 So go ahead and enjoy the monsoons – but don’t forget to shower some extra TLC on your tresses!